2017 is right around the corner. If you’re anything like me, you’ve probably been thinking about which planning system you want to use for the New Year. I wanted to share a few different planners I’ve used to help make your decision a little easier! 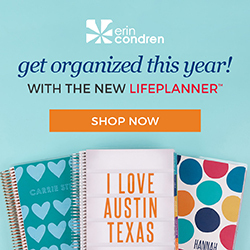 The Life Planner comes in three different formats: vertical, horizontal, and hourly. As the planner brand I have been using the longest, I have nothing but good things to say about this planner and brand. These planners start at $55 and are well worth the money. You can customize the color scheme, front cover, layout, and number of months in your planner. 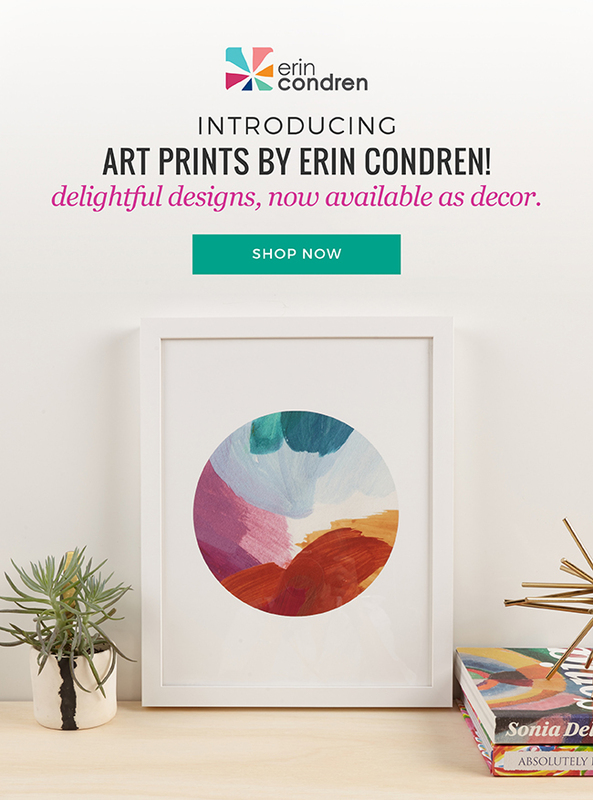 Click here to get $10 off your first Erin Condren purchase! I will forever love the Simplified Planner. It comes in both a weekly and daily layout, has just the right amount of color, has the cleanest (and most beautiful) design, and is perfectly functional. These beauties start at $58 and are also well worth the money. Love love love. If you’re looking for something similar, but aren’t crazy about the preppy patterns, I 150% recommend EL’s Dapperdesk Leather Planner. Holy beautiful, it’s SO nice and perfect for men and women! When it comes to form, function, and simplicity, the Get to Work Book makes my heart skip a beat. It is available in A5 unbound inserts or spiral bound (shown above) and starts at $46. The paper quality is perfection and as a goal setting agenda, it includes project planning pages and goal setting pages. I will be using the unbound inserts in an A5 Filofax as my planner for 2017. – More on that later. Traveler’s Notebooks are one of the most genius creations. EVER. The things you can use them for is endless and I love the customization options. I buy all my traveler’s notebooks from The Foxy Fix and all my inserts from May Designs. I really like the ring bound system for planners. As someone that keeps track of multiple things at once (work, blog, family, etc. ), I like being able to add/remove pages as needed. Kikki.K planners are excellent quality for the price and come in a variety of colors/patterns. You can choose from pocket, personal, or A5 (small, medium, large) size, so no matter what your schedule looks like, you’ll have the perfect amount of space. The Illustrated Faith agenda is a faith-based planner. The colors/patterns used throughout the book are absolutely gorgeous and the quality is great. For only $29 you really can’t beat it! The Studio Calico Hello Forever planner is perfect if you’re looking to get into the ring bound system but either want something a little less bulky, or want to go with a less expensive option starting out. These start at $55, come in a few different colors, are sturdy and come with usable/good-looking inserts, and will fit any other A5 inserts you want to add to it. Ban.do makes some of the best planners for the price point. Their agendas start at $20 and come in three different sizes. They’re all very fun spirited and make you want to take photos of your to-so list all day long. (Not to mention they come with fun stickers.) For the price point, the quality is outstanding and it’s nice to be able to pick one up at so many different retail locations you probably already visit! The Horacio Printing planner is another faith-based planner. It comes in three different colors and has some of the best paper quality I have ever seen in a planner. They start at $44 and are definitely worth it. The simplistic design leaves room to put your own personality on the planner. If you’re not a planner decorator, this planner is filled with beautiful elements that will compliment your pen scribbles without adding anything extra. Love! There are SO many A+ planners out there, it can be super overwhelming trying to pick just one (or even two) to use. If I can recommend anything to you at all, it would be to pick on that feels right to you. I’ve spent my fair share of money on planners because they were what everyone else was using at the time. Turns out, they totally didn’t work for my planning style even though they were absolutely gorgeous. Pick something that will work for you, your planning style/needs, your schedule, and most importantly your wallet. Stay tuned as I review more planners going into the new year. I will also be giving away a few of these planners on Instagram! I’d love to know – was this helpful? Which planner(s) are you using for 2017? Let’s chat in the comments below!